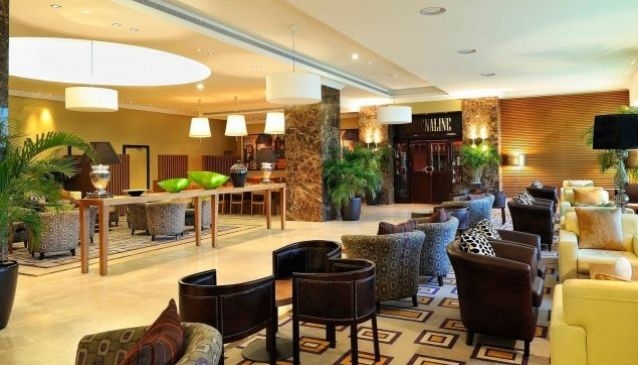 Cafe Cappucinno is a cafe located inside Four Points by Sheraton Lagos. The cafe is a lovely welcome into the hotel as it seats at the lobby. It offers a cozy and homely atmosphere where you can relax, socialise and entertain your guests or business associates. At Cafe Cappucinno, you can eat a nice combination of what you like with the 'build your own sandwich' option. Come along with friends, family and business associates to enjoy a warm cup of coffee or have a slice of their signature apple pie. Other snacks available at the cafe are: muffins, cappuccino, tea coffe, croissants, and for your lunch dates or meetings they have samosas, pies, quinches, salad, fruits and lots more.